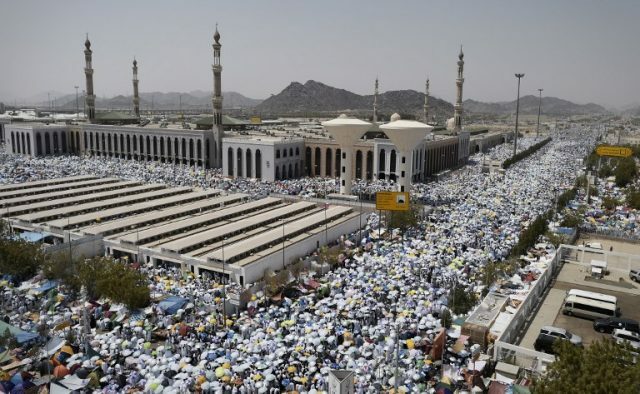 Saudi imam Dr Sheikh Hussein bin Abdul Aziz delivered a Hajj sermon at Masjid-e-Nimra, Mount Arafat on Monday, as more than two million Muslims gathered to perform the annual pilgrimage. Sheikh Aziz urged Muslims to practice the teachings of the Holy Prophet (peace be upon him). Sheikh Aziz urged Muslim youths to stay away from violence and elements of mischief. He called upon people to strengthen their relationship with God and play their due role for peace in society. “Give respect and importance to your parents and teachers. Strengthen your relation with the Holy Quran,” he said. “Islam forbids us from indulging in sins. It propagates harmony and brotherhood amongst Muslims,” he said. The imam said rule of law and justice are the hallmarks of an Islamic society. He said Allah likes those who are honest, give Zakat and are charitable. The day of Arafat marks the culmination of Hajj. It is a reminder of the day of judgement, where Muslims believe mankind will stand on a similar plain, in scorching heat, waiting for judgement. 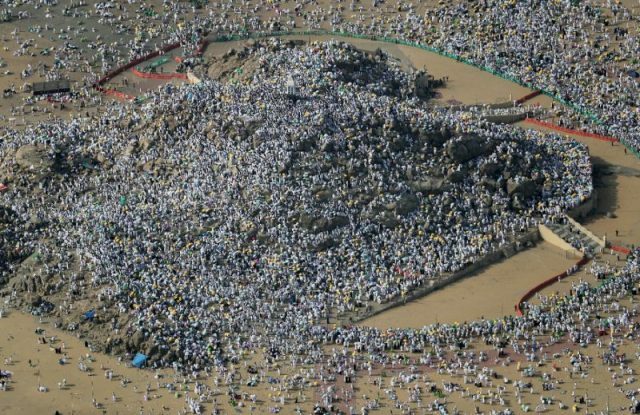 At the hill of Arafat, where Prophet Muhammad (PBUH) delivered his final sermon, a sea of worshippers scaled the rocky mount of Arafat southeast of Makkah for a day of prayers and reflection. After sunset, the pilgrims will leave for nearby Muzdalifah where they will gather pebbles to perform ‘Rami’ the symbolic stoning of the devil. The ritual begins in earnest on Tuesday as Muslims observe the first day of Eid, which marks the end of Hajj. Eid will be celebrated on August 21 in Saudi Arabia and on August 22 in Pakistan.